NEUROSIS have locked down new performances in their ongoing, sporadic live ceremonies in support of the album, Honor Found In Decay. 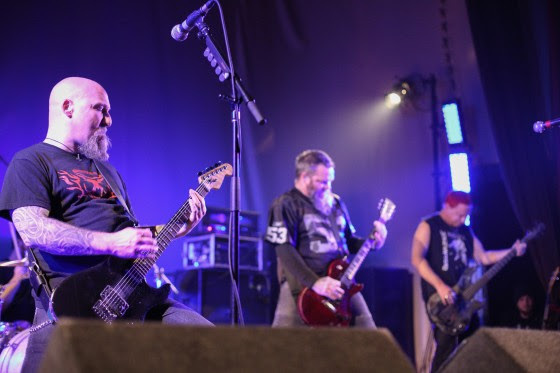 Since 1985, NEUROSIS surpassed the boundaries of any genre, never ceasing to mutate and progress their songwriting and sonic delivery, and never failing to mesmerize audiences both in the studio and onstage. In 2012 NEUROSIS returned with the monumental release of their tenth studio album, Honor Found In Decay which went on to receive countless plaudits from the press on a global scale, and was positioned highly in end of year polls – reaffirming why NEUROSIS remain one of the most important heavy acts in existence. As a reminder and a taste of what is to come, watch and share this immense live footage performing ‘At The Well’ live in Oakland.